Here you have a list of opinions about Iron Age sword and you can also give us your opinion about it. You will see other people's opinions about Iron Age sword and you will find out what the others say about it. Swords made of iron (as opposed to bronze) appear from the Early Iron Age (c. 12th century BC), but do not become widespread before the 8th century BC. 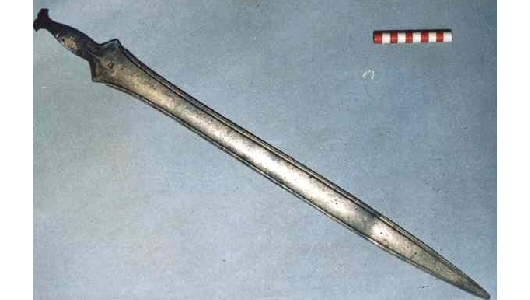 Early Iron Age swords were significantly different from later steel swords. They were work-hardened, rather than quench-hardened, which made them about the same or only slightly better in terms of strength and hardness to earlier bronze swords. This meant that they could still be bent out of shape during use. The easier production, however, and the greater availability of the raw material allowed for much larger scale production. Eventually smiths learned that by adding an amount of carbon (added during smelting in the form of charcoal) to the iron, they could produce an improved alloy (now known as steel). 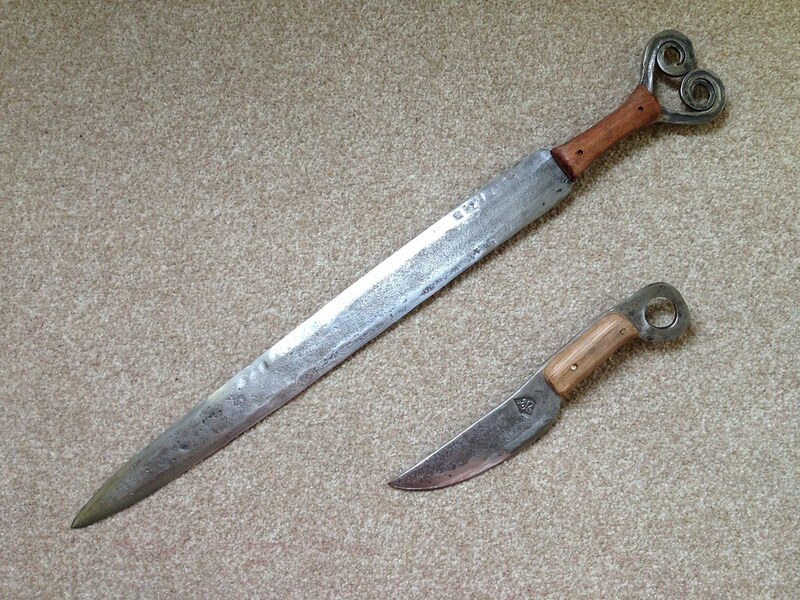 By quenching (making the steel hard and brittle) and tempering (removing the brittleness), swords could be made that would suffer much less damage, and would spring back into shape if bent. It took a long time, however, before this was done consistently, and even until the end of the early medieval period, many swords were still unhardened iron. Several different methods of swordmaking existed in ancient times, including, most famously, pattern welding. Over time, different methods developed all over the world. In the image below, you can see a graph with the evolution of the times that people look for Iron Age sword. And below it, you can see how many pieces of news have been created about Iron Age sword in the last years. Thanks to this graph, we can see the interest Iron Age sword has and the evolution of its popularity. What do you think of Iron Age sword? You can leave your opinion about Iron Age sword here as well as read the comments and opinions from other people about the topic.